Maple Alley Inn serves healthy and sustaining meals in a comfortable and welcoming environment to Whatcom County residents experiencing hunger. Every week we serve breakfast on Tuesday morning and lunch on Wednesday and Thursday, focusing on nutritious high quality foods. 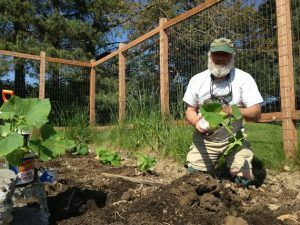 A Maple Alley Inn community garden, grows organic vegetables that are a core part of the prepared meals. In 2015, Maple Alley Inn served 19,622 meals to 1,675 unduplicated guest, an 18% increase from 2014. It is also a place for clients to connect with social service providers in order to be referred to other beneficial services and receive education around topics of health and nutrition. It is also a community of low-income families, homeless veterans, isolated seniors, individuals in recovery, etc. coming together to dine in dignity, share stories and offer companionship. Finally, Maple Alley Inn is a community of 47 hard-working, dedicated kitchen volunteers and 15 garden volunteers that come together around their common desire to make their community a better place to live and increase the quality of life of its most vulnerable citizens. 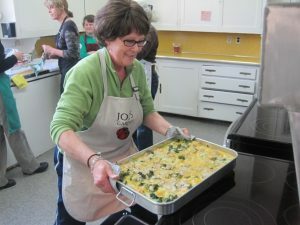 Maple Alley Inn is so much more than a meal program, it’s a community nourishing itself! To volunteer with Maple Alley Inn, please fill out a volunteer registration form on the Opportunity Council website, found here.